all week’s Greek American community activities. What led us to this collective effort is to help the polyphony and the expression of views on a variety of issues concerning Greek America. Our aspiration is to serve our Church and our Community and offer not just another newspaper, but also a new and fresh voice. Our demo issue, published March 24, received very good reviews, encouraging us to use all our strength for the inaugural issue, the one you are holding in your hands. We will appreciate if you extend us your support. Please look for Greek News at the news stands near you, or become a subscriber. 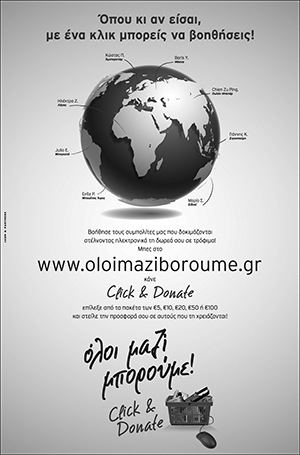 Support our advertising department, by promoting through Greek News your businesses and all social events of your societies, churches communities. Please choose Greek News to send your wishes for Happy Easter.